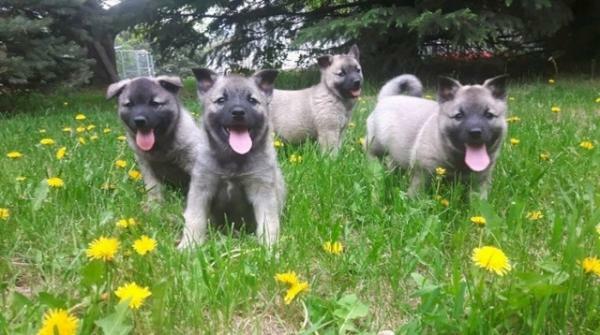 Description :we have beautiful Family raised and super playful Norwegian Elkhound Puppies for sale. Excellent with kids but also very good watchdog. 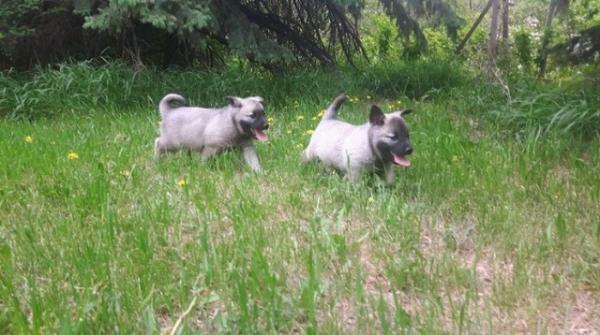 Pups will come with 2 sets of shots and deworming, males and females available.these Norwegian Elkhound puppies are very friendly and hearty pups!Parents are family pets. 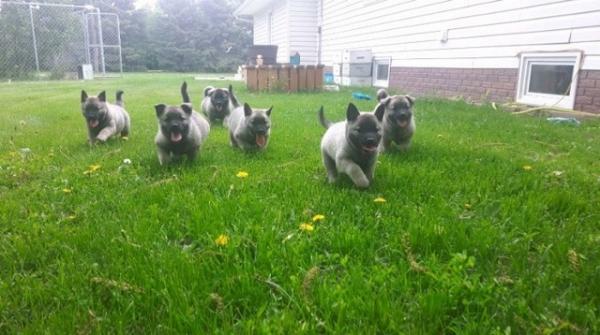 they are very playful and adorable and are easy learners they love playing with children and well socialized. they have been vet checked and up to date with vaccinations and wormer.KC. Reg., Current vaccinations, Veterinarian examinations, UTD on shots and wormings. Contact us for a chance to meet them and see if they are the companion you have been searching for! Looking for the loving forever home they deserve. We match prospective buyers with the pups they have been searching for, raised on family homes to be your future family member.